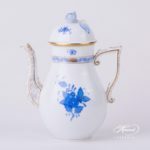 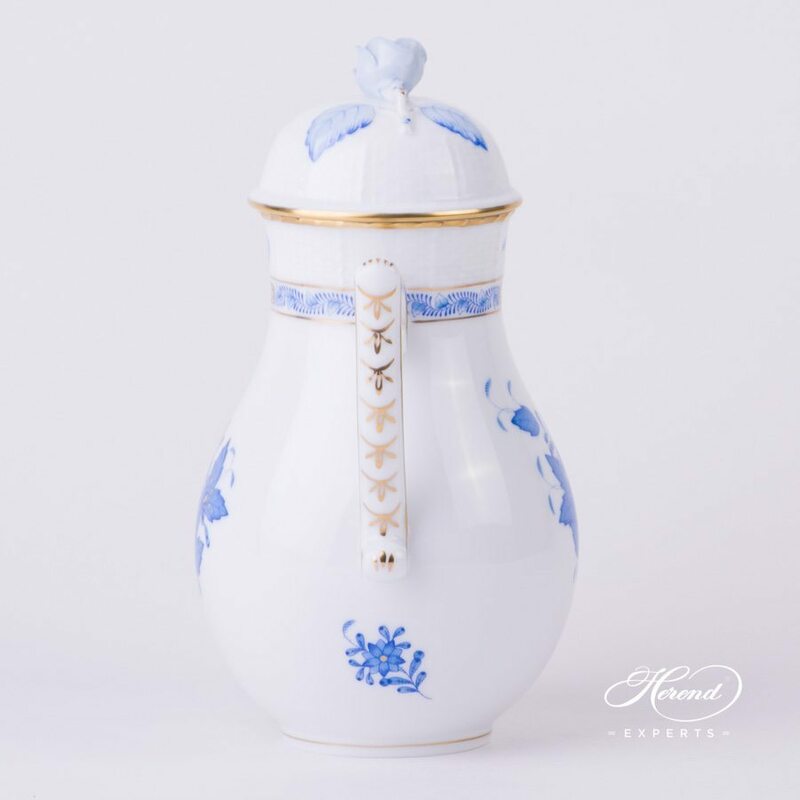 Herend porcelain Coffee Pot with Rose Knob – Herend Apponyi Blue decor. 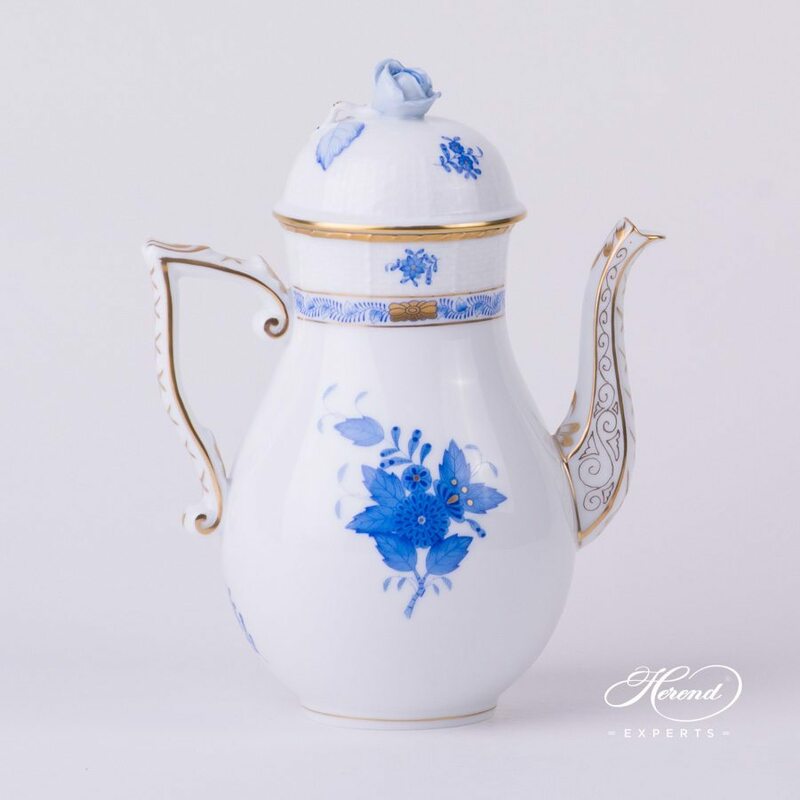 and painted with Blue Chinese Bouquet with Gilded edge. We offer this practical Coffee Pot for all Coffee and Mocha Sets.